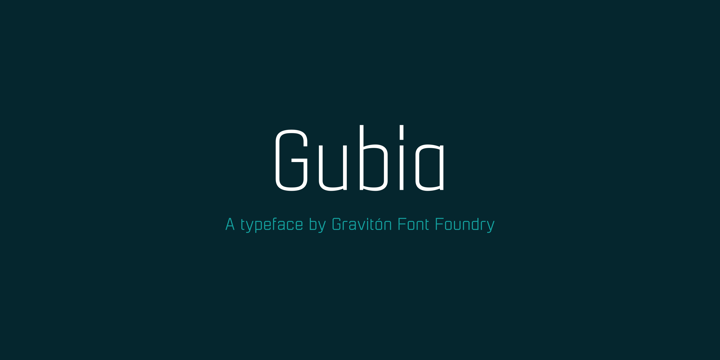 Gubia is a geometric sans-serif typeface created by Pablo Balcells and published by Graviton that contains 8 styles, 4 weights & alternates, language support and it merge in all sized headline, text. Note: “Gubia” is a trademark of Graviton. A font description published on Thursday, January 16th, 2014 in Fonts, Graviton by Alexandra that has 6,252 views.